We share our profits directly with YOU! Yes you heard right! 30% of the SBD raised from these posts will go directly to the curated authors, they will each receive 10% each for their efforts, transferred directly after payout. All of these wonderful authors deserve an upvote from you but we do understand voting power (VP) and the drain all this wonderful content can have on that, so we made it simple. 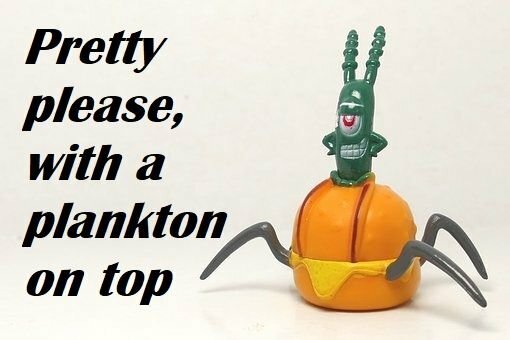 If you upvote this post you are sharing the rewards with the curated posts. This currently sits at 10% each with the aim to grow as our SP or delegations grow. It’s always fun to get to know our fellow Steemians, I can’t believe no one guessed your lie, I have seven guess mine and had to go for a round two decider. It was a good one! There is still 6 days until PAYOUT. This lovely lady deserves an Upvote, got any to share? 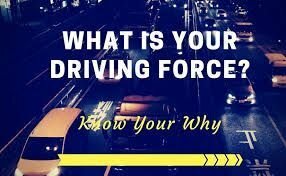 What is your driving force? Failure is the only way forward so don’t take it to heart. There is ONLY 5 days until PAYOUT. An UPVOTE to keep this Steemian going? An interesting take on the view of the world and the conspiracy's possible within. There is still 2 days until PAYOUT Got spare VP, share the love with this trooper. Got some spare STEEMPOWER, we are wanting to rent some delegations, so not using yours? What does delegating to us do for you? The satisfaction of helping a new community grow. We aim to upvote content from our supporters but are doing so manually to preserve VP but aim to set up a more formal rewards system in the future. Thanks for your work in promoting other steemians! Groups such as this are a light to many well deserving people. Thanks all of you. I was just having fun, and well, look what happened. Thanks I hate using the phone to type. You are so welcome and you're right, it is a great way to meet new people! Very good @lil-mich @gracefavour and @bashadow! I love to see all 3 of your featured with our partners @asapers! You all deserve it and glad to see our communities connecting! I'm very happy with @asapers and I recommend all of our people get involved with them! Its a natural fit with what we are doing! Great posts to all of you and congratulations! I checked the numbers when I was working on the bingo game, and it seems like around 1 in 4 followers of @asapers (51 out of 220) are also followers of @newbiegames. So there's definitely lots of great people out there for us to all get to know better! That is really cool @plushzilla... Not only does it show that we both have a group that attracts quality, it also show how small this place is and how early we are. Sometimes we forget that, so it is nice to be reminded. ps... @lynncoyle1 was looking for a list of games that @asapers could play. I told her to connect with you so that you guys can coordinate with @insideoutlet. btw if you get a chance, let me know what you thought of this post I just made... I would like to know what you think about maybe doing this in a bigger format (meaning have many of us do this for a week).. Thank you so much Dave , i am so surprised myself seeing my post featured by @asapers, it is really an honor. I am not surprised... I am happy for you to get recognition. I am very happy to see what comes to you in the future too! You're terrific Grace! 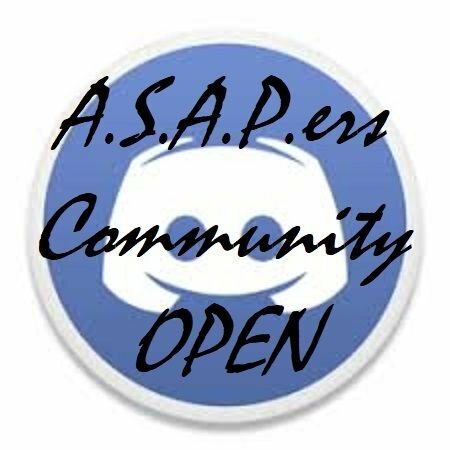 Be sure and join @asapers Discord channel if you haven't already:) Here is the link for you to use. If you have any questions, don't hesitate to ask ;) Cheers! Yes you should, it is another group that is similar to ours and in fact I would think many of our people would love to help it grow too because once you graduate from newbie status, it is a natural fit for the next level... @helpie is another group to check out too! well you will always be a part of newbieresteemday if you want to be, so that part will stay the same... But technically as you grow up there are other support groups out there to help after you get into minnow status.... both @asapers and @helpie are 2 such groups and many of our people are members of both of them and also of course our group too! The goal is to make as many "good" connections as possible! The link is getting stronger between the two which is fantastic. I love the groups that are helping the community as a whole. Its what Steemit should be! Keep rocking it @davemccoy! Yep, she is on the case, @hitmeasap is delegating another 100 SP next week, which will be super helpful. I know it fits...it will always fit, regardless of your accomplishments! :) You're just that kind of good guy! Thanks @ibile for stopping by and having a read. Hi folks. I'm intrigued about the idea of your group. I'd like to do my part to help other people helping me, and curating good content. Cheers! Thank you, my friend! To the future! Yippiey, Thank you so much @asapers, i am so grateful. You are so very welcome @gracefavour, we love curating great work from new authors like yourself. I hope to see you round. @insideoutlet. What a great way to highlight newbies! I see all familiar names on there and think it’s wonderful how our two communities cross paths. I also see many of the same engagers commenting. Will have to stop by more often. Thanks for showcasing these fabulous authors!